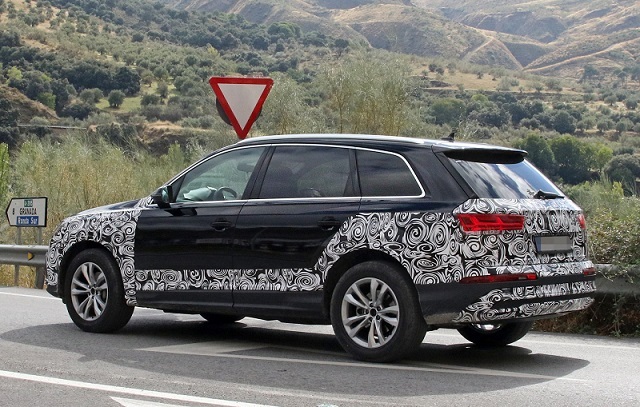 An updated version of Audi’s seven-seat SUV has been spied testing in Germany a few days ago. 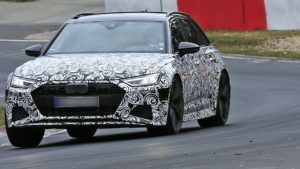 Even though the prototype hosts some camouflage in the ends, the cosmetic changes will not be the biggest focus of the four-ringed automaker. Instead, they will pay the biggest attention to better driver-assistance and connectivity features. 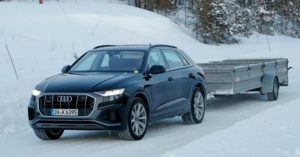 Plus, the mid-cycle update will bring certain improvements under the hood of the 2020 Audi Q7. The mid-size SUV will most likely keep the current engine options onboard. However, most of them will come paired with a mild-hybrid system that will improve fuel efficiency and reduce CO2 emissions. Audi may also add a few horses and torque here and there, but that’s not confirmed yet. Exterior changes are mostly cosmetic, though. The camouflaged SUV most likely hides Q8-inspired styling cues, so you can expect a bit more attractive grille and headlights which will incorporate LED running along the bottom edge. The bumper looks similar to the Q8’s too, while the side of the SUV shows new alloy wheels. Around back, the 2020 Audi Q7 gets just a reworked bumper and a set of taillights. The cabin will reportedly get a totally new dashboard which will mirror Q8’s, as well as pretty much identical interior upgrades like the new A4, including new steering wheel and better software. 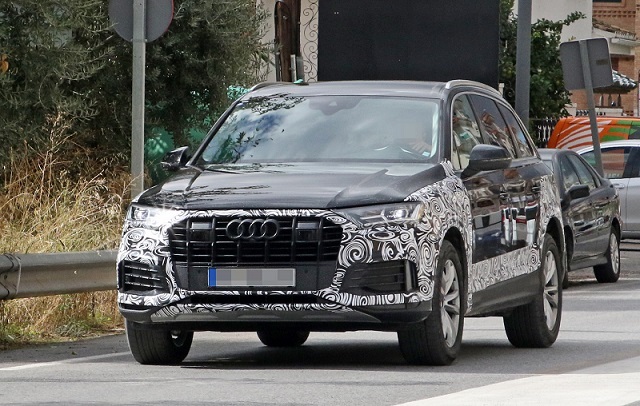 Regardless of the fact we’ve just seen a testing prototype of the Audi Q7 for the first time, the refreshed SUV will arrive relatively soon. According to the latest reports, the refreshed mid-size crossover SUV will be introduced next spring at the 2019 Geneva Motor Show. There is no price information at this point, so stay tuned for updates.